KODAK INDUSTREX AA400 Film is extremely versatile, which makes it a great solution for many industrial applications. You can use it in multiple-fi lm radiography and in single-fi lm techniques— and with direct x-rays or with lead foil screens. 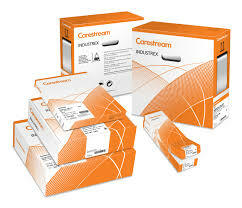 Best of all, AA400 Film incorporates Carestream Health’s patented T-GRAIN Emulsion technology. AA400 Film is an ASTM E 1815-96 Class II fi lm that off ers high speed, high contrast and gives you a fine-grain image. This film offers incredibly robust handling characteristics. It can withstand high temperatures and humidity, and it is resistant to static artifacts— so you get the image you need, whatever the conditions you’re working under. AA400 Film can be processed manually or automatically in a range of processing cycles.